I asked the guides to explain to me the energies and what people are going through in a way that makes sense to me. What they showed me was an ornate sand castle on the beach. 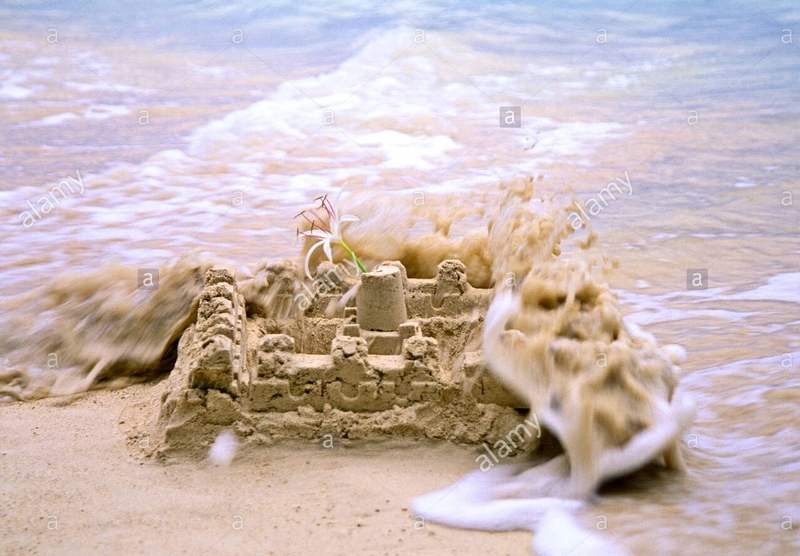 Waves upon waves were coming and as they hit it was taking bits and pieces of the sand castle changing the entire structure. What was being uncovered was the most beautiful pink seashell that glowed. At times the waves completely took the pieces and washed them away. Other times it seemed that the pieces stayed attached though no longer in the form they were in. This they showed me is our resistance, the suffering.. the hanging on to what is not in alignment with our souls (the pink seashell). So here we are going through our layers. Now is the time to see where we are resisting the help that’s trying to wash away all not of love. Look at your thoughts that loop or have resurfaced, these are your clues. Now is the time to drop all the crap, and it’s crap that keeps us from who we really are. Let your soul shine, your light is needed and you are very loved. Absolutely spot on! Thank you. Thank you ,Jenny ! Your messages never disappoint me. Sending lots of love!!! Thank you for your beautiful words….I’m sure I will see you soon. I know. Sometimes we can’t alone. Ask for assistance from your team of angels and guides. Ask them to take from you all the pain. It’s not about excusing their behavior, it’s about freeing yourself from the ties to them. Too heavy a burden to carry. Sending you so much love, wrapping you in my arms. Reblogged this on My Blog I am just trying to figure it out~. Jenny, I love this image and the gentleness of the waves washing the “old structure” away. Lovely and very appropriate. The “pink shell” to me symbolizes our Spirit/heart energy … which is all that’s left. Thanks for sharing this! Yes that’s how I saw it too 🙂 Gentle, beautiful, yet very purposeful.